I have to admit that I am not a big fan of hamburgers! I don't go to McDonald, Burger King, and all the other fast food that often. Once in a while I'll order a hamburger but I usually will split it in half with someone because they are simply too big to eat! 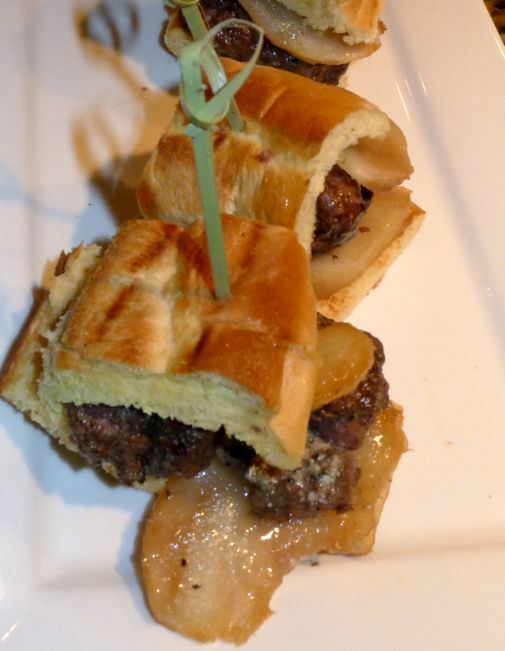 The last time I was in Vegas I ordered some sliders from Fleur by Hubert Keller and I was so surprised that they were fantastic! Now I am a fan of sliders! 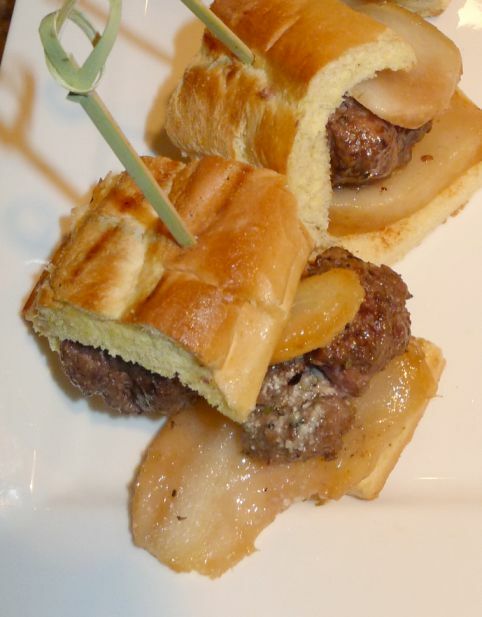 These miniature burgers called Sliders are the perfect answer for the people who wants just a few bites instead of a whole burger! 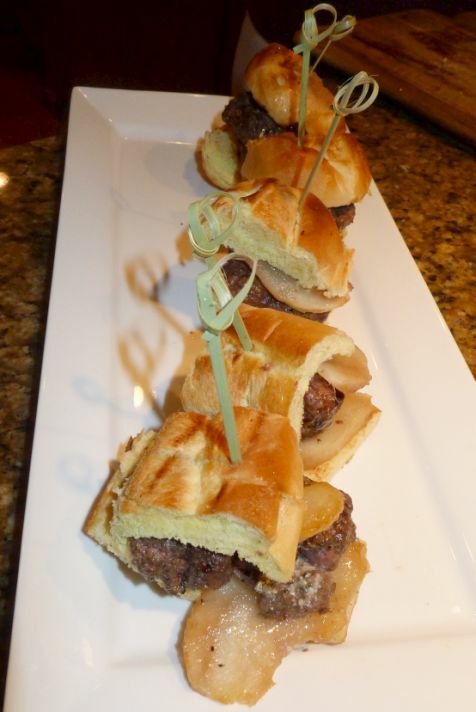 Hubert Keller has a book called Burger Bar and this recipe is from there. For tonight I choose a classic combination: Roquefort (Blue cheese) and caramelized pears. 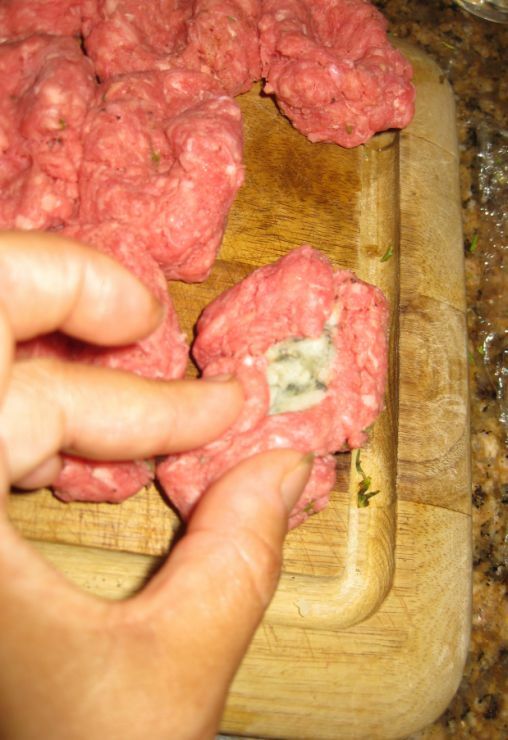 Cheese are usually melted on top of the meat but here the blue cheese is buried inside the meat. When you bite into the meat you will get a ton of flavors coming from the blue cheese. The caramelized pears and blue cheese combination is pretty nice: sweetness of the pears and saltiness of the blue cheese makes it a winner combination. Finding the buns for sliders are somewhat difficult! 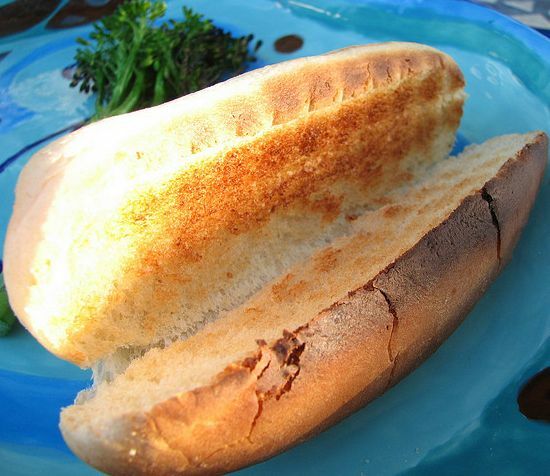 I went to 4 groceries stores and I was not able to find mini burger buns, even the one that are made for sliders are still too big, so I opted to buy Sara Lee's Deli rolls (made for hot dogs) and then I cut them into 4 portions. I purposely made them very small so you can have seconds, thirds, or simply just a bite! Make sure to grill the bun too so they are hot, crunchy and simply irresistible! 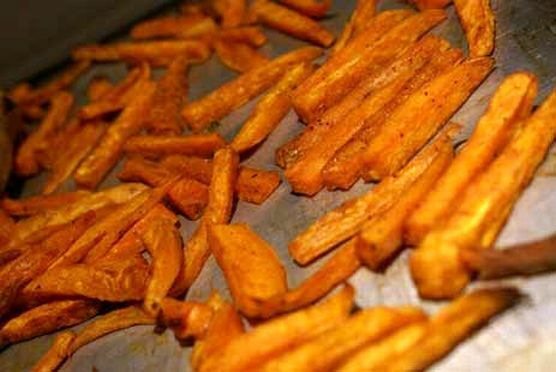 I served the sliders with sweet potatoes fries which are store bought in the frozen section and then I just bake them in the oven. Close look at the sliders. 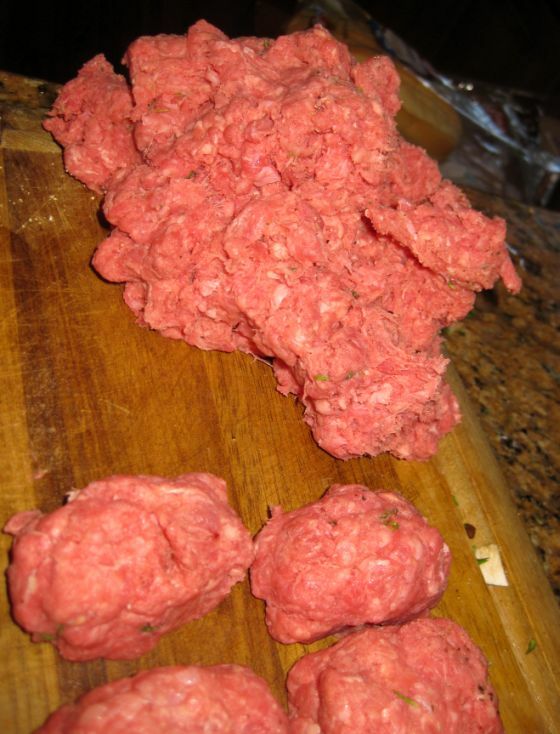 In a large bowl combine the thyme, pepper and ground beef. Using your hands, knead together lightly. 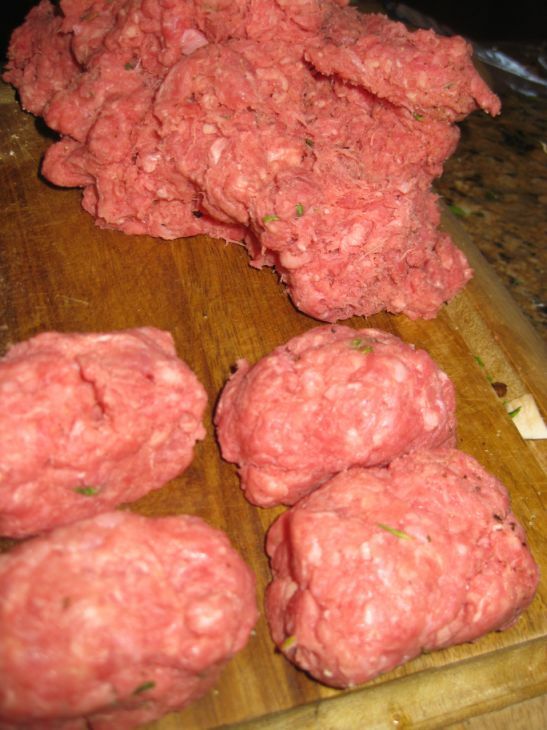 Form the mixture into 16 small balls if you are using a round buns. I am making them into a rectangular shape because I am going to use hotdog buns. 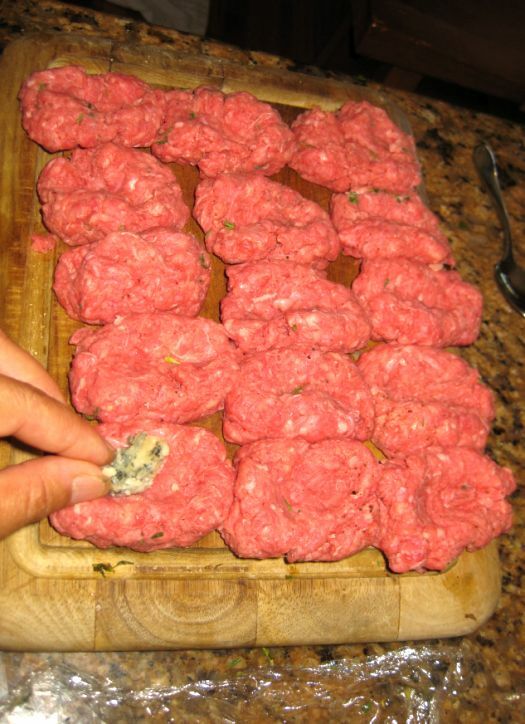 Make and indentation in the center of the meat and fill them with a little mound of Roquefort cheese. Pinch the top together around the cheese. Make sure the stuffing is completely enclosed. 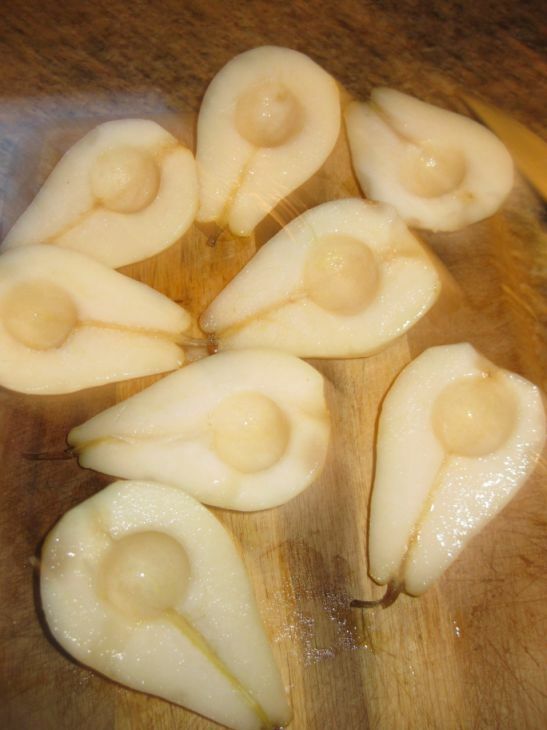 Cut the pears in half. Peel and core the pears. 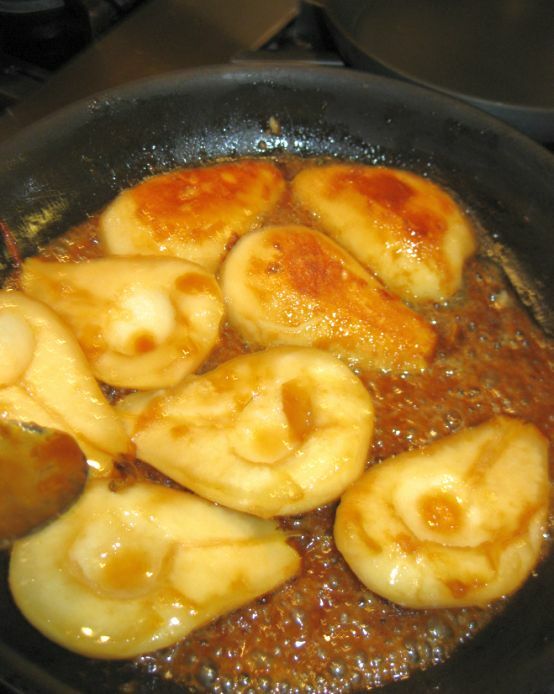 Put the pears in a large skillet at medium heat. Add the sugar and butter. 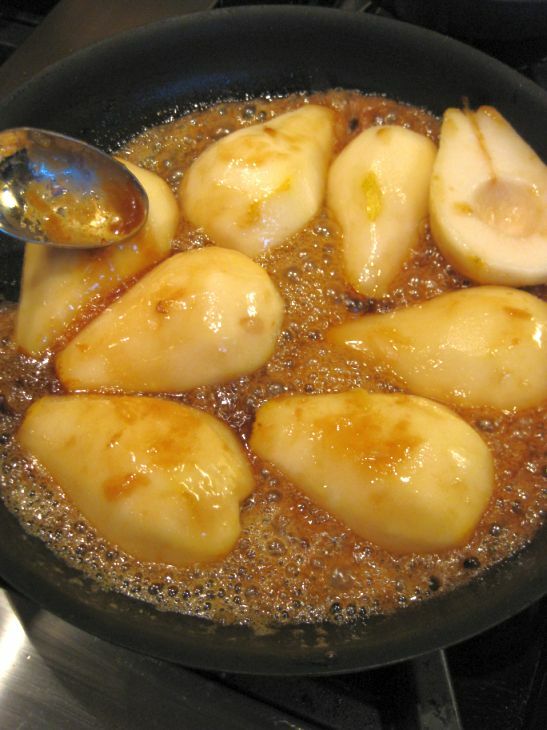 Let the sugar and butter melt gently so the pear will be come soft. 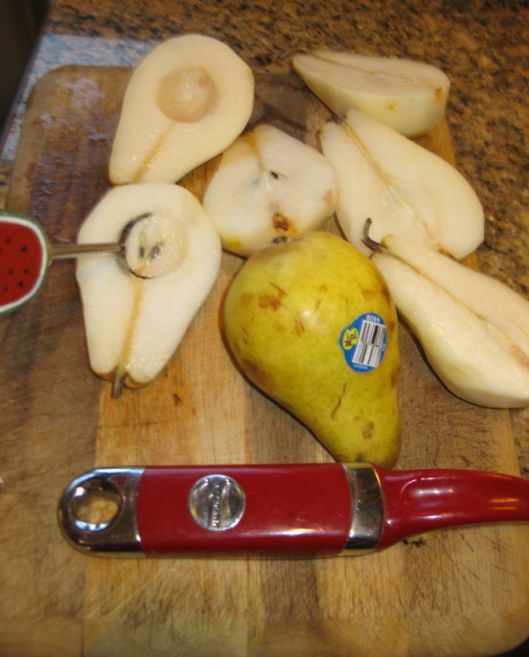 Keep an eye on the pears and you will need to rotate them so they get a nice color all around. 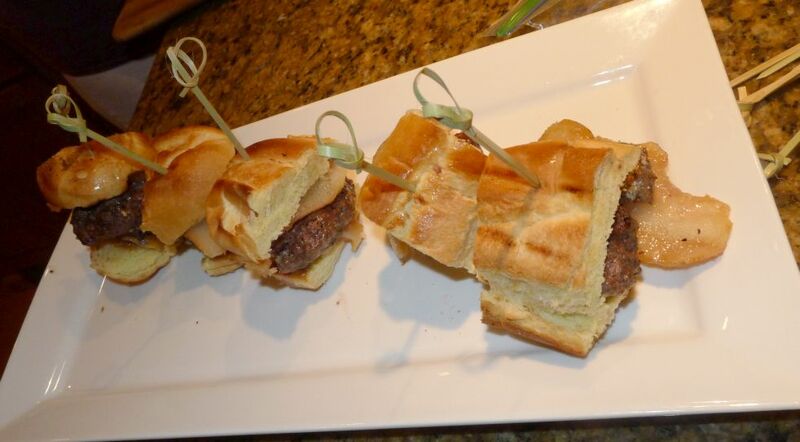 Cut into slices and serve 2 slices per sliders. 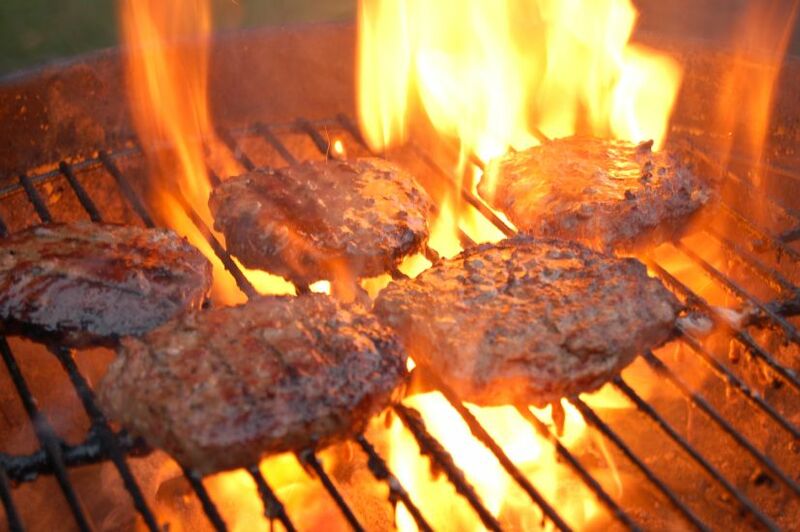 Grill the buns. I cut them into four portions. 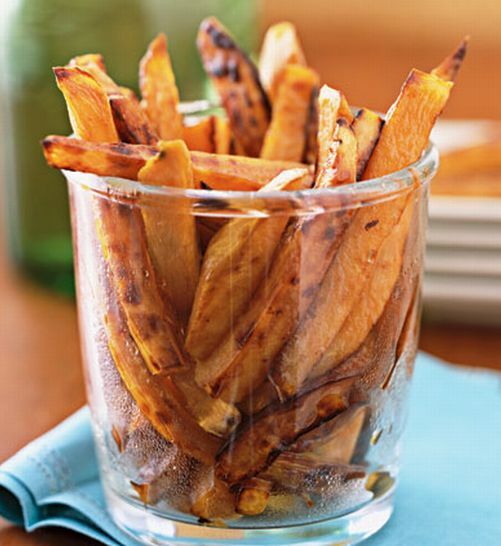 Bake the sweet potatoes accordingly and serve with the sliders.